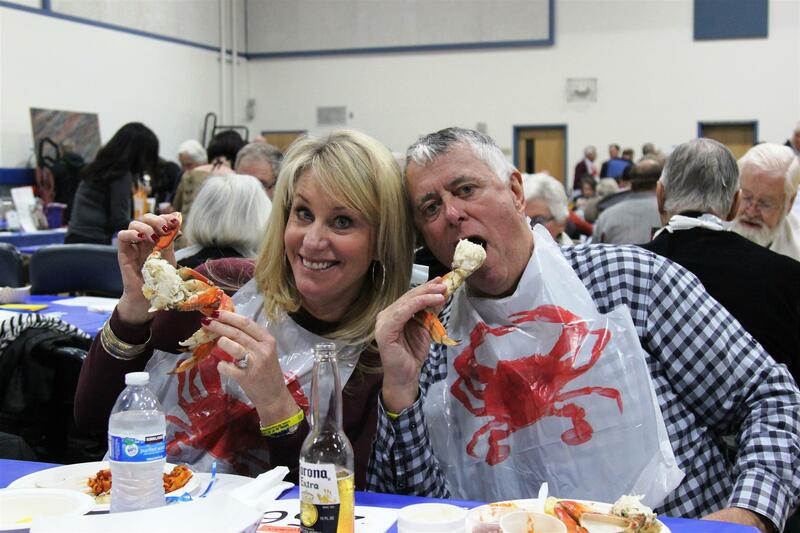 Among those cracking crustaceans at the Los Gatos Rotary Club’s 18th annual Crabfest and Auction Jan. 26 will be the club’s president-elect, Martin Fishman. A practicing ophthalmologist at Spectrum Eye Physicians and professor of clinical ophthalmology at Stanford, Fishman’s history as a leader in the local medical community is extensive: He’s served as the president of a statewide ophthalmology organization and has chaired the medical staff at Los Gatos Community Hospital, among other roles. And for nearly 15 years, Fishman, with the Rotary Club’s help, has led annual expeditions to restore eyesight to a remote village in Guatemala. Every fall, Fishman takes a group of about a dozen people to Santo Tomas La Union, a small town about four hours from Guatemala City. Fishman and other practicing ophthalmologists, medical technicians, nurses and volunteers set up shop in the local Clinica Maxena for a week. There, they work 12- to 14-hour days, performing eye exams, surgeries, medical treatments and laser operations on the indigenous population, free of charge for those who cannot pay. The group brings its own medical supplies, including lasers and sutures, donated by companies or paid for by donations through the Rotary Club. They also bring enough medications to last patients for six months until the next batch of volunteers, a group sponsored by the diocese in Montana, arrives in the spring. Some of the volunteers staff the clinic, which serves about 300 people over the week, treating everything from minor irritations to infections and glaucoma. Others perform surgery for cataracts, a common ailment that drastically affects the quality of life for the town’s residents. Workers in the coffee-producing areas, merchants and craftspeople often lose their eyesight altogether by the time they reach Fishman and his team. After treatment, Fishman says, they can usually see again by the next day. The team gives the post-op patients eyedrops and instructions, and an ophthalmologist in a town about an hour away follows up. Fishman says they perform approximately 50 cataract surgeries on each trip. By the time they arrive six months later, dozens more require treatment. The patients Fishman sees often have no choice but to wait until their condition becomes acute. Their other option is to go to Guatemala City, but as most of the town’s residents speak a dialect of Mayan rather than Spanish and many can’t afford transportation, most wait until the biannual arrival of the teams to the clinic. The equipment they bring, Fishman says, is just as good as the equipment used by most practices in the U.S. But the advanced state of the patients’ cataracts and a common coexisting eye condition make the surgery more difficult. Despite the difficulties, the group works with the staff of the local clinic and a Guatemalan eye doctor from a public residency program to provide treatment and training. The trips, he says, run smoothly. Fishman has been at the helm of the annual trip since 2005. The program itself has been running since 1996, when it was founded by a Rotarian from Santa Cruz. The South Bay residents’ trips continue to receive support and funding from the Rotary Clubs of Los Gatos and Santa Cruz. During the CrabFest fundraiser, the Rotary Club will ask attendees to pledge $100 to sponsor one cataract operation for one patient. The money will go directly to the clinic to offset the cost of performing so many surgeries free or low cost.